Home Lifestyle Are Dental Problems at the Root of Your Health Issues? Frazer Bailey was walking home one night when he spied a woman fighting with a man who appeared to threaten her safety. Frazer decides to intervene on her behalf, and the angry man punched Frazer in the mouth. Frazer had root canal surgery to save the teeth, and he believes this is where his persistent, chronic health problems, including anxiety and chronic fatigue syndrome, began. This is how a controversial documentary streaming now on Netflix begins. It’s widely believed that there is a direct correlation between the health of your teeth and your overall health. But there are some members of the dental medicine community featured in the film, who take that a step further, asserting that root canals are to blame for most all chronic diseases and cancers. The documentary is called ‘Root Cause.’ So do root canals cause health problems? Here are some of the theories shared by those on both sides of the argument. The documentary asserts that any other part of the body that died would be immediately removed, so a dead tooth ought to be immediately be extracted, too. You’d never leave a dead appendix in your body, for example! The dentists in the film explain that because a root canal is leaving something dead inside your body, it would flood the patient’s bloodstream with toxic bacteria from that dead tooth. These doctors allege that there is no way to thoroughly clean the bacteria from this tooth enough that it would be sanitized enough to leave it in your body without unhealthy side effects. They claim that everything from autoimmune disorders, mental disorders, heart disease, arthritis, and fibromyalgia to breast cancer can be traced back to root canals. The film alleges that the American Dental Association (ADA) has known about the danger of root canals for years and that they are covering up the truth. Those fighting to have the film removed are concerned that it’s encouraging people to unnecessarily have their teeth removed when those teeth could be saved. They share that there are several benefits to keeping a damaged tooth in place. Those benefits include keeping the jawbone’s structure in place (without a tooth in place, the jaw is at greater risk of collapsing in the affected area) and sustaining the person’s ability to chew. 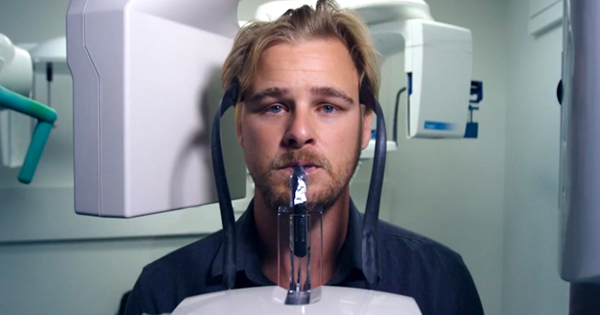 The film’s opponents also share a concern that if people become convinced their health problems are due to their dental work, they may overlook the real cause, which could put the person’s safety at risk. The best course of action, of course, is preventative! Eating a healthy diet and caring for your teeth to prevent the need for any dental surgery is the best way to avoid the question of root canal safety altogether. Patients should share any concerns they may have with a respected dental professional that the patient trusts. The post Are Dental Problems at the Root of Your Health Issues? appeared first on GodUpdates.